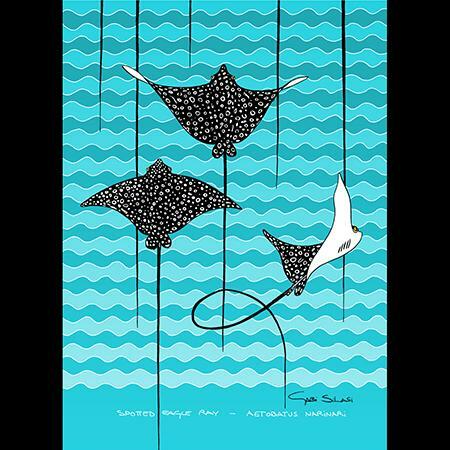 Eagle rays include the largest fish in the ray families. They are also widespread - living almost around the globe, in the warm and shallow waters by the coasts, upto depths of 80 metres. Unlike stingrays, eagle rays are harmless and remarkably inquisitive creatures. As well as beautiful sights to look at! The sympathy must be mutual, since they often stop by divers with the same curious eye.